This Lockable Tucktite fastener suits bags and briefcases. The male section of this clasp is fixed onto the flap of your bag with two chrome screws. The female section is secured via two malleable spikes that go through the backplate securely fixing the lock into position. 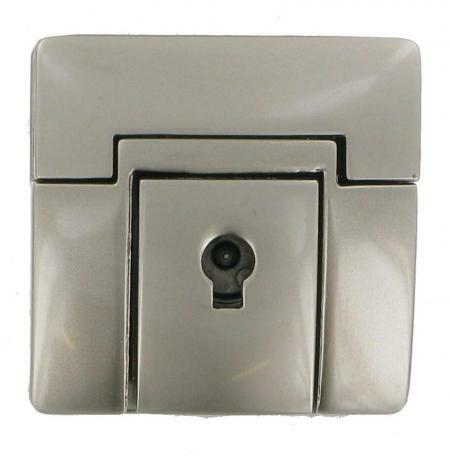 The fastener is available in satin chrome finish only.